Keeping you cool through training when the weather steps it up a notch make sure your guns are on display with this Pro Training Tank Top from Nike. 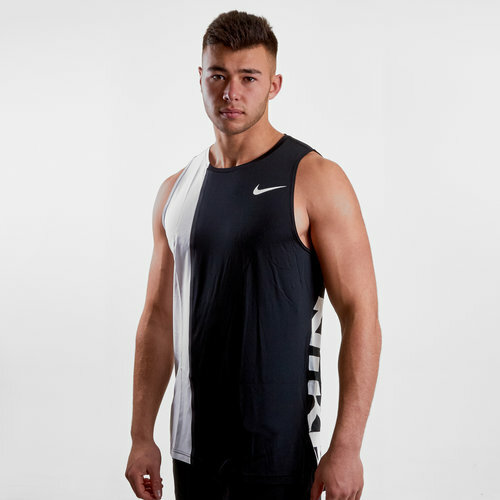 This mens training tank top from Nike has been designed for optimal performance whether that's in the gym or on the training it helps keep you at your best with the use of Dri-Fit fabric which helps to keep you dry and comfortable when the action heats up. Stylish in design the combination of white and black is a clean look which will easily complement the rest of your training kit, so you won't just feel good, you'll look good also.